HUNDREDS of single parents in Geelong could be up to $100 a week worse off when they are pushed off the single-parent pension and on to the Newstart allowance in less than two weeks. Single parent and City of Greater Geelong councillor Kylie Fisher estimates she will lose $190 a fortnight due to the payment changes. She is studying youth work part-time and spending about 30 hours a week on civic duties while trying to raise her three teenage children. “I probably won’t be able to seek education any more, I’m sure I’ll have to go back to work,” Cr Fisher said. Cr Fisher spoke out to highlight the hardships many will feel from January 1, when the changes apply. “This will impact a lot of people in the northern suburbs, the eastern suburbs and right across Geelong and Victoria,” she said. Based on census figures, nearly 11,000 families in the Geelong region are one-parent families, higher than state and national averages. While the vast majority of single parents in Geelong are female, 17 per cent are male. “It will affect single-parenting dads as well – they are really forgotten about,” Cr Fisher said. There have been two sets of rules surrounding parenting payments following a change in 2006, where some parents were granted payments only until their child turned eight, while others were exempted. The changes are tipped to save the Federal Government $728 million over four years. 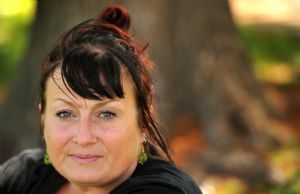 One Geelong single parent, who didn’t wish to be identified, said she had been on the lower Newstart payments for the past three years and found it hard to make ends meet. “If I’m going to pay the school fees, I’m probably not going to be able to put petrol in the car,” she said. Corio federal Labor MP Richard Marles said the changes meant the parenting-payment rules would be the same for everyone. “At present there is inequity,” Mr Marles said. Corangamite federal Liberal candidate Sarah Henderson said the changes lacked compassion. The Federal Government is hoping the changes will encourage parents to engage with the workforce earlier.